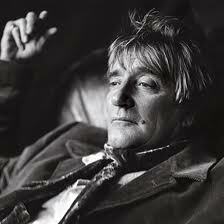 British singer-songwriter and musician Rod Stewart has been in the music business for 5 decades. Starting out in the 60's in The Jeff Beck Group, Stewart began his solo career in 1969 and has had sold over 100 million albums worldwide and produced 62 singles. In the 80's Rod Stewart picked up on the 80's vibe and churned out hits like, "Passion", "Some Guys Have All the Luck", "Infatuation", "Love Touch", "Young Turks" and "Forever Young". Stewart was inducted into the Rock and Roll Hall of Fame in 1994.